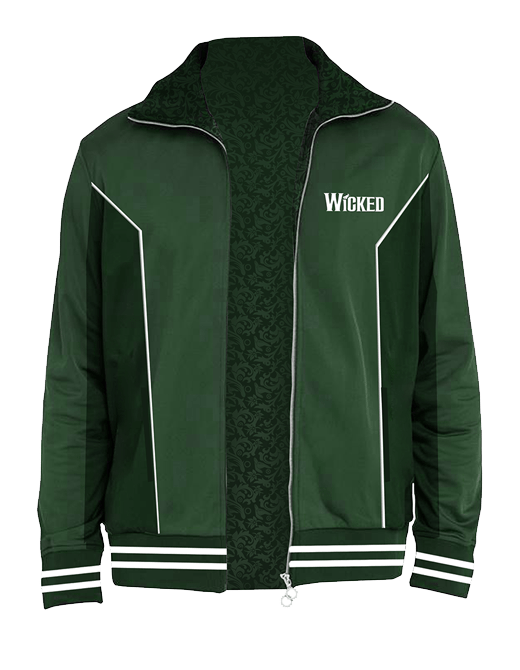 Show your love for Wicked The Musical with this handsome Organic Limits Track Jacket. Featuring a black and green design, with 'Wicked' across the front chest and "I'm Through Accepting Limits" on the back. 35% organic cotton/65% polyester. Machine wash cold inside out.